Welcome to the home of BLUF, the Breeches and Leather Uniform Fan Club. BLUF is a club for men who enjoy wearing breeches and leather uniforms. Founded in 1997, there are now over 3,400 members worldwide, and many of them meet in person at BLUF events. On the BLUF menu, you can find out more about the club. The Community menu has our calendar of events and blog, while on the Info menu you can find many useful resources, including other clubs, vendors and venues around the world. 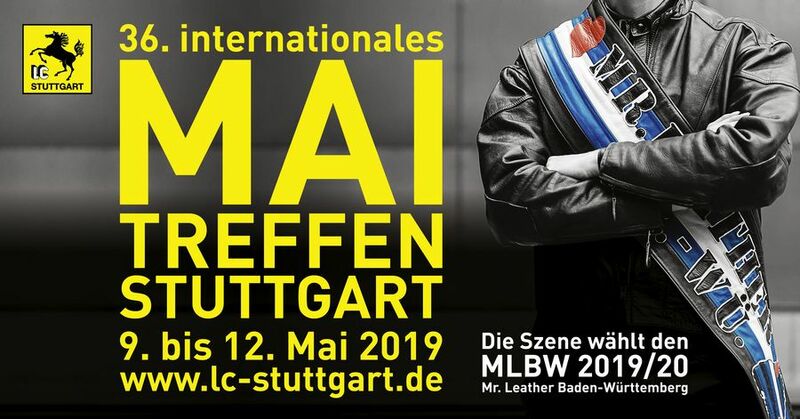 BLUF is one of the world's biggest communities for men into leather uniforms, with members in dozens of countries and around 100 events every year. Joining BLUF gives you access to our whole site, where you can meet other guys seriously into leather, create a profile, and become part of our community. We maintain a strict dresscode, which you can read about here. Joining BLUF is free and open to men who meet our dresscode requirements. The site is run by volunteers, and owned by BLUF Ltd, a not-for-profit company based in the UK. BLUF's website isn't just for our members. You'll find plenty of information available to non-members too, including our listings of leather and fetish vendors, leather venues, and local leather clubs, around the world. The BLUF events calendar features events worldwide, organised by a wide range of clubs and other groups, and as well as BLUF topics, our blog often includes posts of general interest to the leather community. Members of BLUF also have access to our online magazine, which includes reports from BLUF events, exclusive photo galleries, and even short stories written by other members. The member forum provides places to share tips or ask for help on a range of topics, incuding For Sale and Wanted sections, travel advice and more. On your BLUF profile, you can even let people know if you have a guest room, or can show them round your city, and our sophisticated search tools can help you find a bed in a city, or even someone who's into the same things as you, with a playroom, who rides a bike and speaks German. We're committed to keeping BLUF membership free, with all members getting all the functions of the site. BLUF is funded by donations and sales of BLUF merchandise. 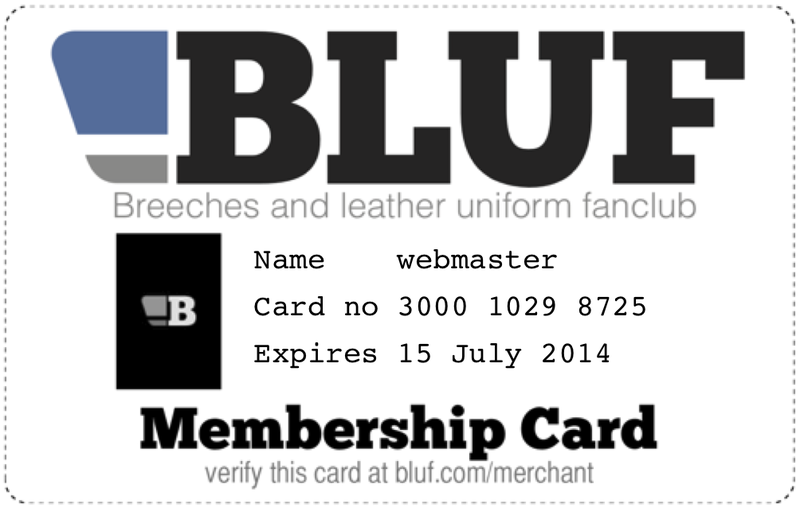 Members who donate to BLUF qualify for the BLUF card, which gives discounts at a range of vendors, including Boxer, Clone Zone, Fetish Freak, Mister B and Regulation.